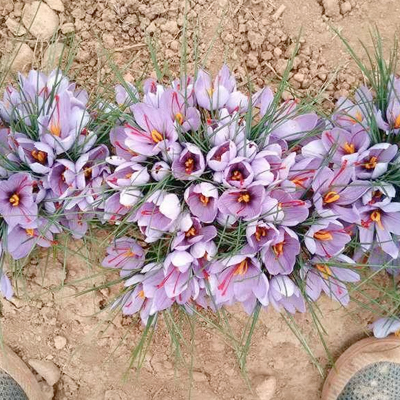 Roco Saffron distributes their Saffron Crocus worldwide. 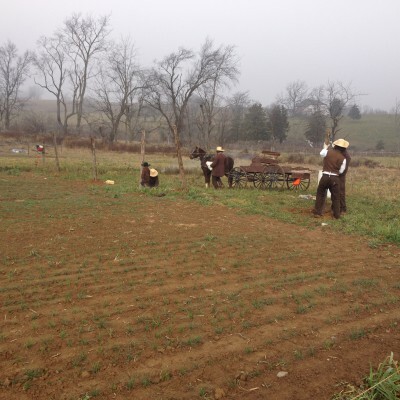 We visit our customers on a regular basis to strengthen our relationship. 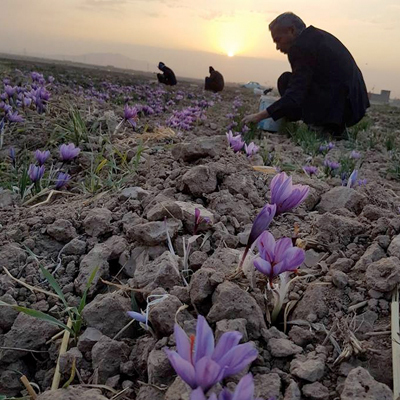 Below you can find some professional wholesale Saffron customers from over the world during our visits on the Saffron fields. 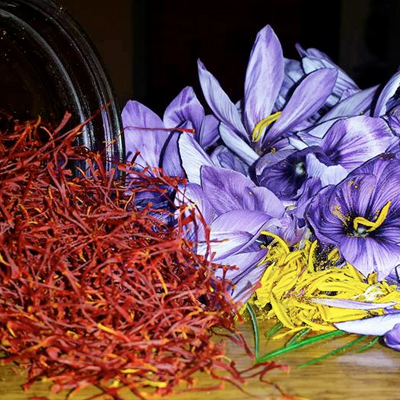 The Amish population in the U.S.A. is known for growing an excellent quality of Saffron for over many generations. 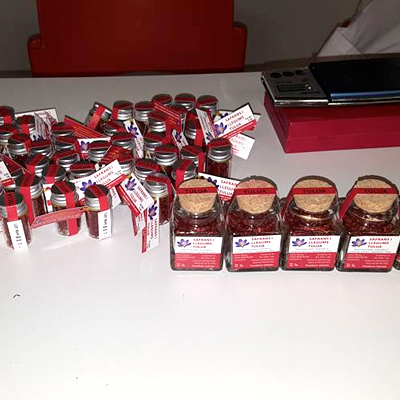 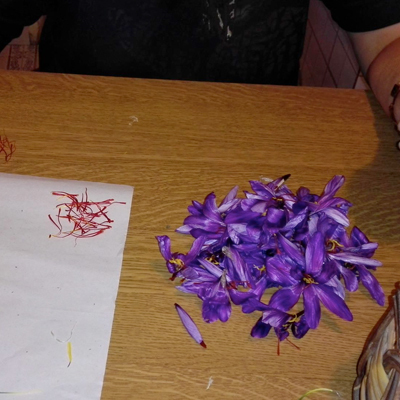 As it is difficult to reach the Amish by phone we personally visited our customer and we are proud to have started them out expanding to a large Saffron production for years now! 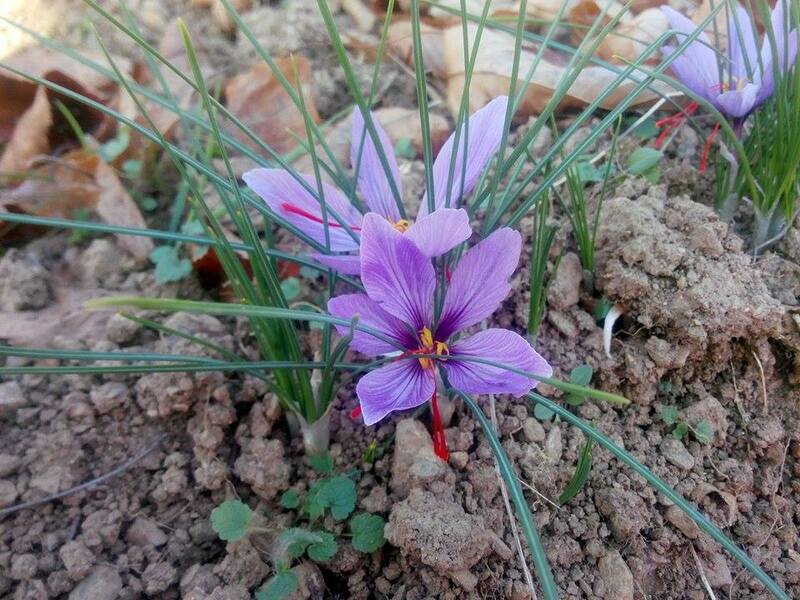 After checking the roots, the Saffron crop is ready to overwinter and start their reproduction of Crocus Sativus bulbs for many more Saffron flowers next year! 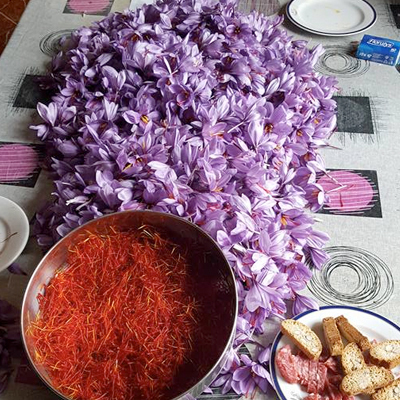 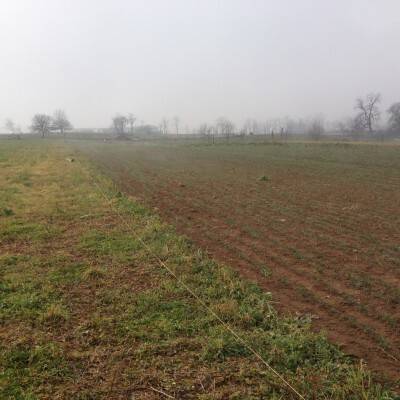 Elena has been purchasing our Saffron bulbs for years now and keeps expanding her Saffron crop in Bulgaria! 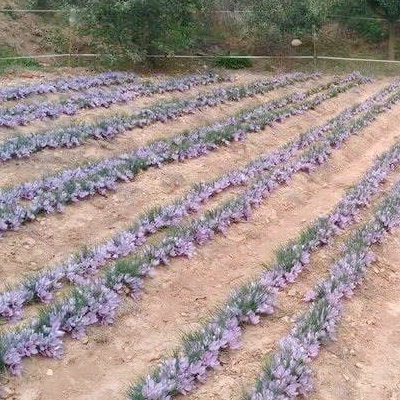 Ramon Palau Caralt has been growing Saffron on an Ecological basis for many years now and we always learn from his experience when we visit Ramon. 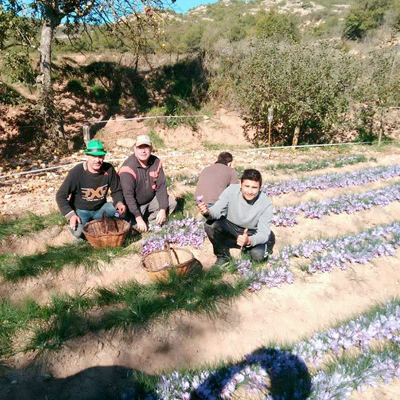 He is located in Sarral, Spain (Catalunya). 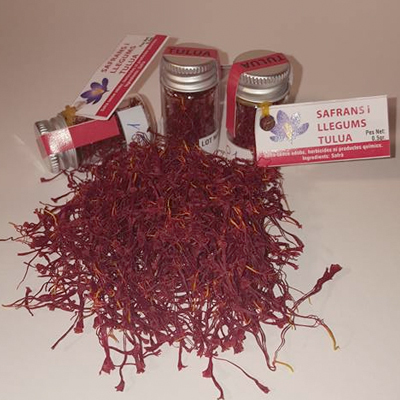 He markets his Saffron under the name: 'Azafrans Tulua'. 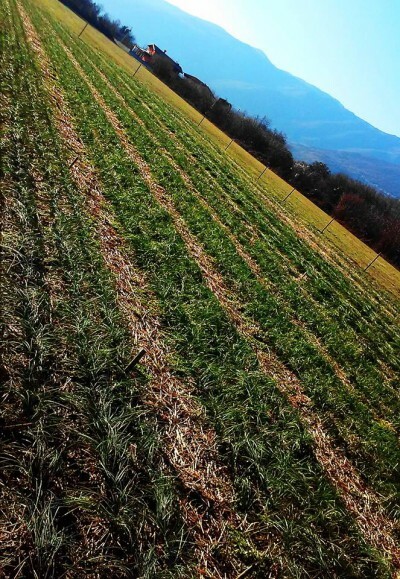 We have tested it and the qulaity is superb! 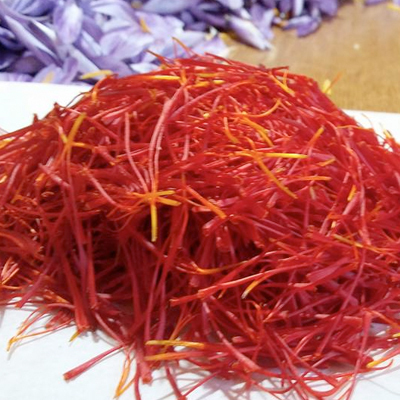 As per below please find some images of the whole Saffron production process. 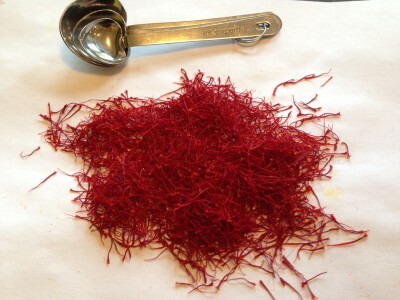 Great Saffron yields! 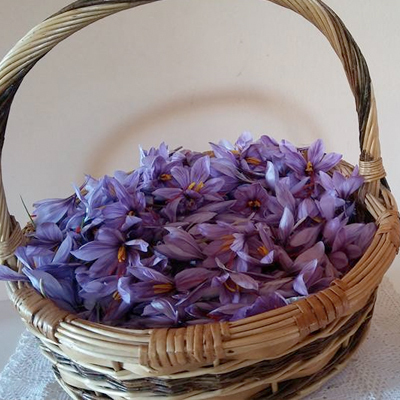 Basket after basket full with Saffron flowers is being filled! 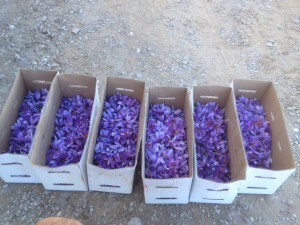 Using baskets is a good way of harvesting your crop as it will protect the flowers from being damaged. 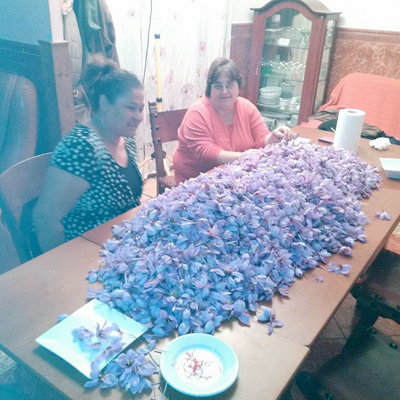 Now it is Picking time. 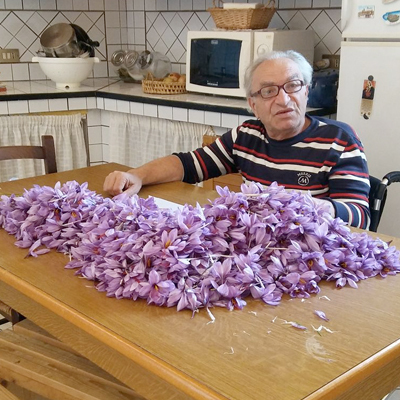 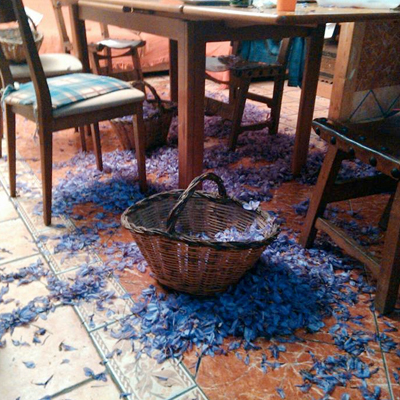 In most cases what we see in Italy & Spain the Saffron flowers are being thrown on a big table and the Saffron pistil picking can begin! 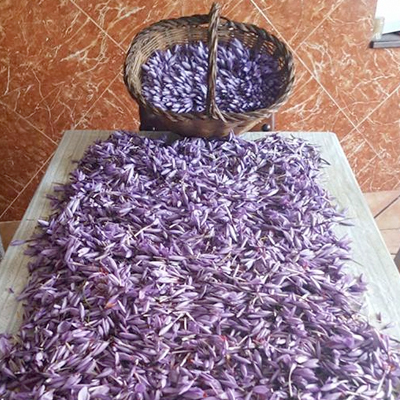 After picking the Saffron pistils the drying of Saffron can begin. 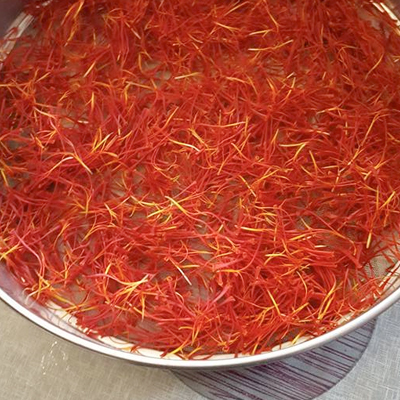 After drying the Saffron is being packed for retail purposes! 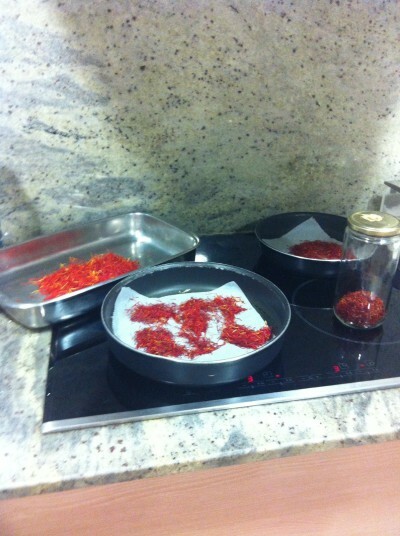 Result, a very tasty and delicate product! 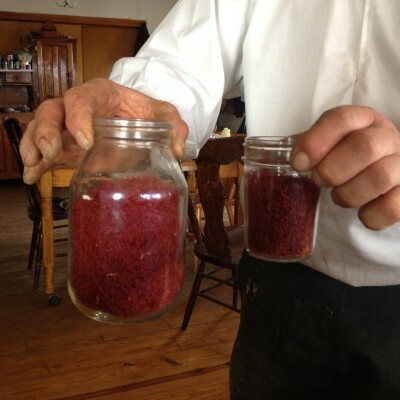 The Red Gold! 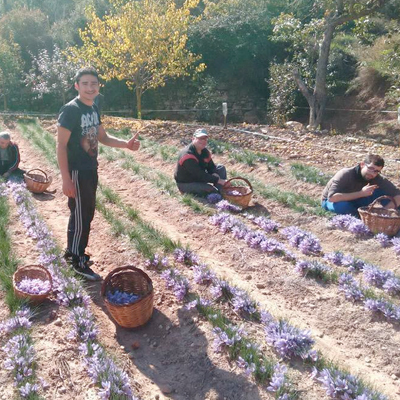 Many thanks to our valued customer Ramon Palau Caralt (Azafrans Tulua) Sarral, Spain (Catalunya). 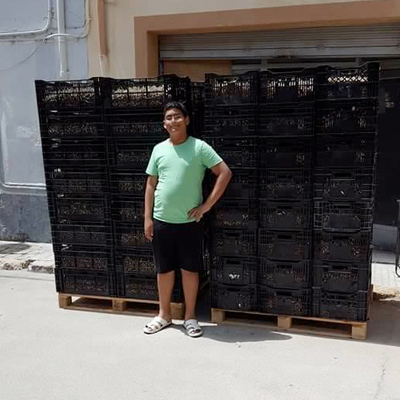 On of our new and young customers from Spain. 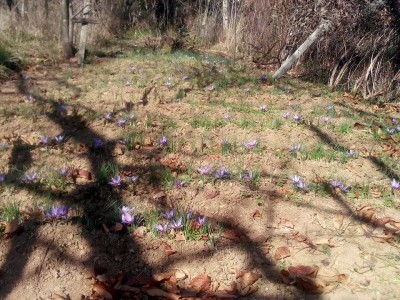 Roger (Safran La Segarra S.L.) 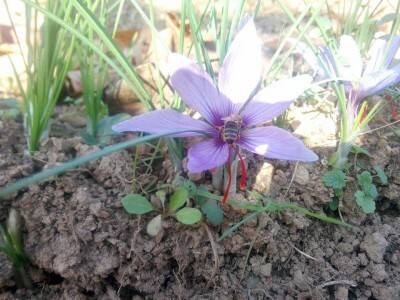 just finished university and is very enthusiastic starting his professional Saffron crop. 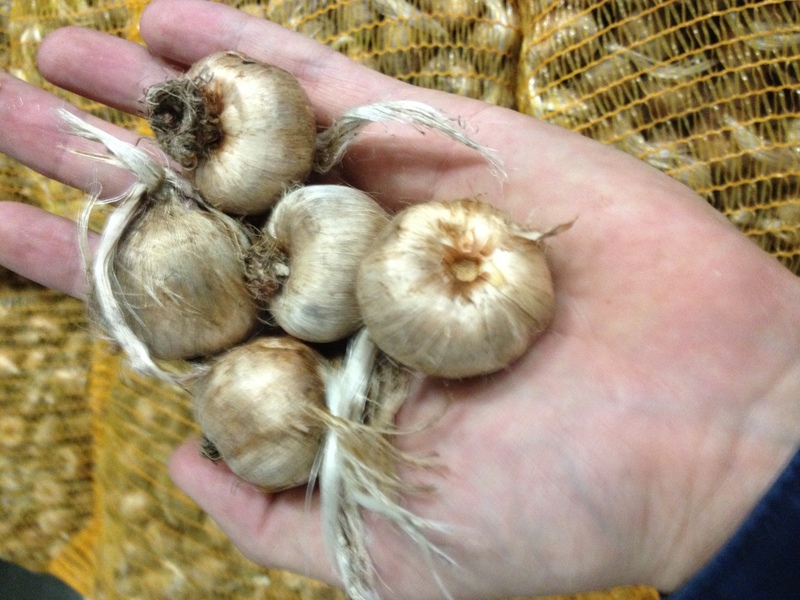 Roger visited our farms in Holland and he was convinced of our quality and ordered a small amount to get started. 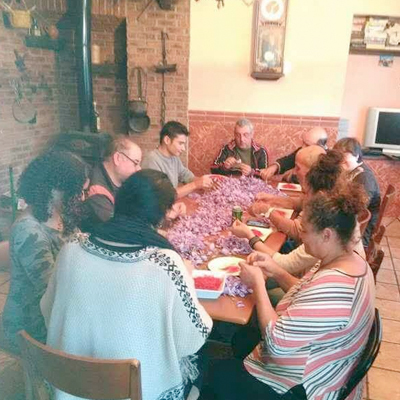 After the first year of harvest, we are looking together how we can manage an increase to grow 2 Hectares! 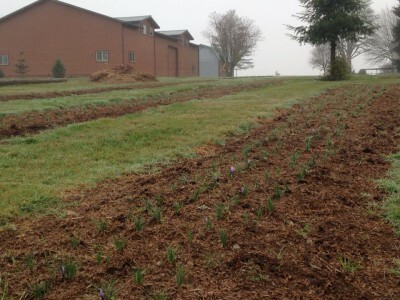 Roger has built a special planting system whereby tubes are being used to plant the Saffron bulbs. 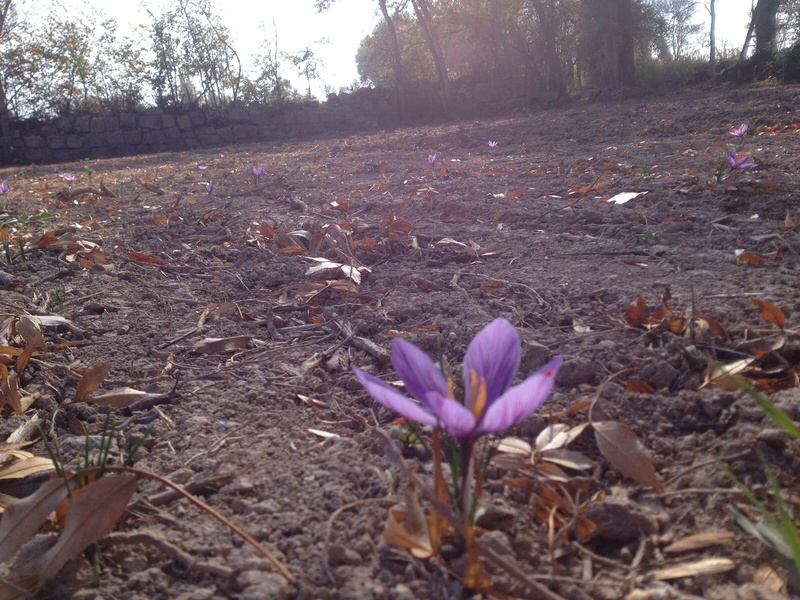 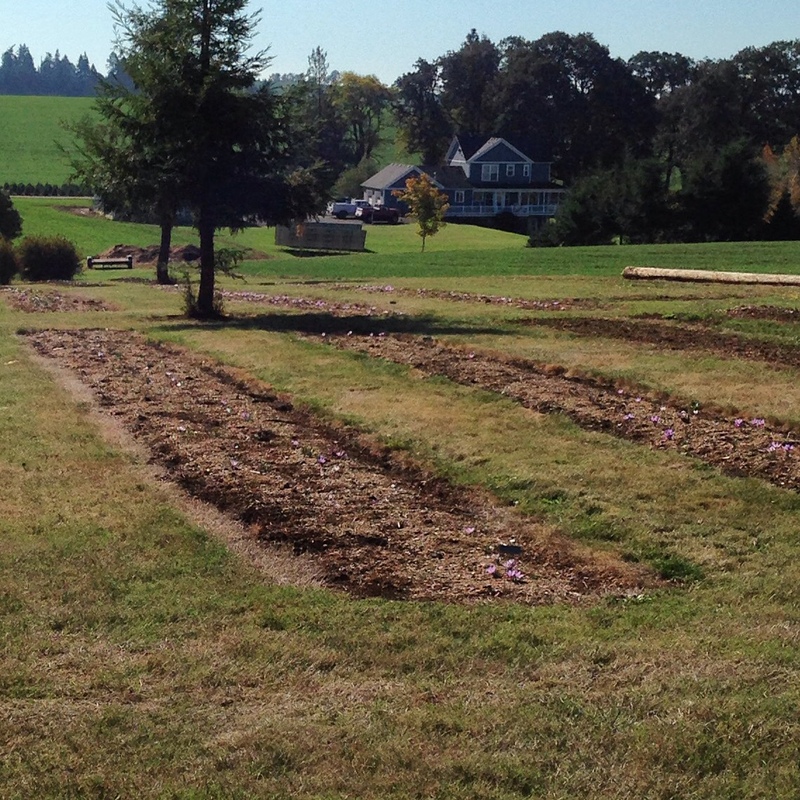 This planting system ensures the spacing of the Crocus Sativus bulbs. 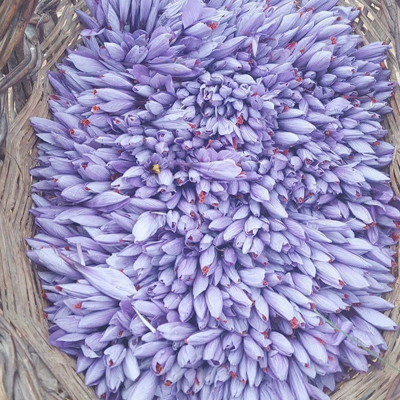 The Saffron bulbs should be planted with sufficient spacing in order to give the mother Crocus Sativus bulb plenty of space to reproduce smaller bulbs. 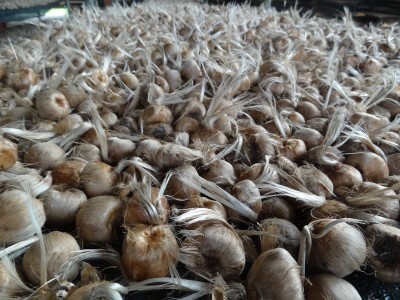 We advise to space the bulbs 15 Centimer (6 Inches). 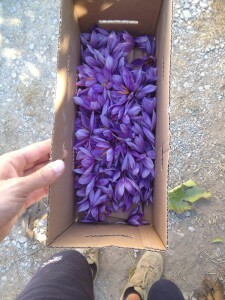 Early in the Italian and Sicilian morning picking the first Saffron flowers. 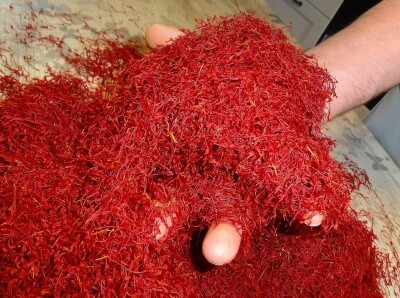 Looks like a prosperous Saffron harvest! 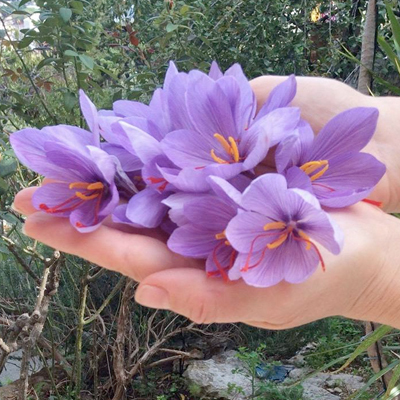 Let the Saffron picking begin! 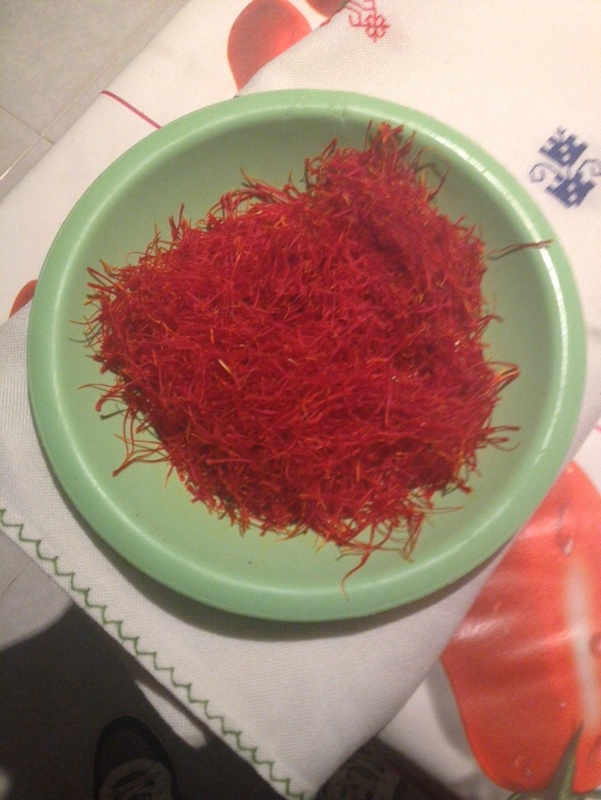 Great Quality of Saffron from Sicily!